C-3PO, Human Cyborg Relations, can now be your voice navigator using Waze on your Android or iPhone..
C-3PO will tell you how to get to your destination at lightspeed faster than than the Millennium Falcon on a Kessel Run in under 12 parsecs. We've told you about Waze and how it is a great navigation app. And even when Stephen Colbert was a guest navigator. Now you can set the voice as C-3PO. That's it! 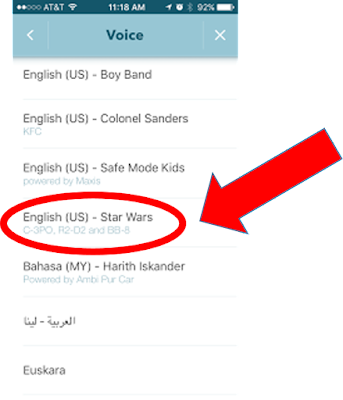 May the Waze be with you! For more information and links to download Waze, visit the Waze, Star Wars page HERE. For more information on Google's Star Wars, click HERE.